As our pets age, we watch with fingers crossed as they slow down. We hope that the stiffness is just because of the cold weather, and come summer they will liven up again. But when a new puppy starts to limp and whimper in pain, we are faced with the unexpected. That puppy was supposed to be frolicking and carefree for years and years, not hobbling around like an old guy. 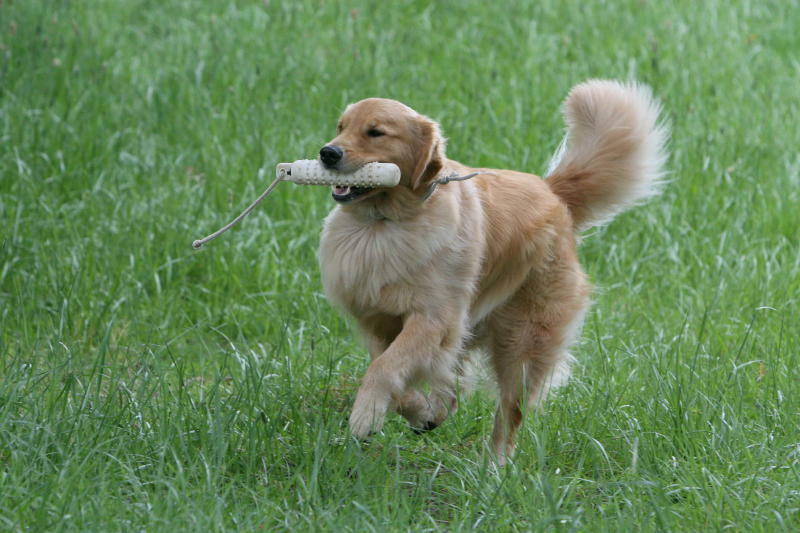 Meet Walker, the Golden Retriever, 2 ½ years after stem cell therapy. “Walker was only about 3 months old when I first noticed that he would have occasional lameness. I thought he might have played too hard with the other dogs or stepped in a hole. But, when he was 4 months old, you could see a definite curve in his front legs that didn’t look normal to me. But, I still thought it was a growing stage he was going through. Dr. McCarthy (Portland, OR), an orthopedic vet I was referred to, did some x-rays. I’ll never forget how I felt that day when the doctor told me Walker had severe elbow dysplasia in both front legs as well as OCD (abnormal cartilage formation). I was heart broken and couldn’t trust myself to even ask an intelligent question for fear that I would burst into tears. I couldn’t believe he was talking about my big, sweet, beautiful boy that I had such high hopes for. Now I didn’t know what kind of future he might have. Dr. McCarthy told me how he would take out the bone fragments in Walker’s elbows and also told me about stem cell therapy. I was willing to do whatever we could to help Walker, so we scheduled the surgery. I guess you could say the rest is history! Walker recovered completely and has gone on to compete successfully in several areas of AKC events. It has been 2 ½ years since his surgery and all is good. We show in obedience and compete in hunting retriever trials. He runs, jumps and plays without pain and is truly a joy to watch perform. Without Vet-Stem and his stem cell therapy, I don’t think Walker would be the happy, healthy dog he is today. He is my everything dog and I am so grateful to have him in my life. You are most welcome Marsha. The long days and hard work are worth every minute of effort when we hear such amazing stories of recovery. Enjoy.